Tuition is a yearly fee, broken up into 9 equal payments for your convenience. Payments are due the 1st of each month. We accept cash, check and credit. In the event a check is returned there will be a $25 bookkeeping charge. First two classes at the above listed price, all additional classes are at a 10% discount. Additional family members receive 10% discount on tuition. Receive a 10% discount by paying the whole year’s tuition. *For DDA Competition Company fees & information, ask front desk! To ensure full enjoyment and continued growth in dance; regular attendance is essential. If you miss your scheduled class a make-up class may be arranged. 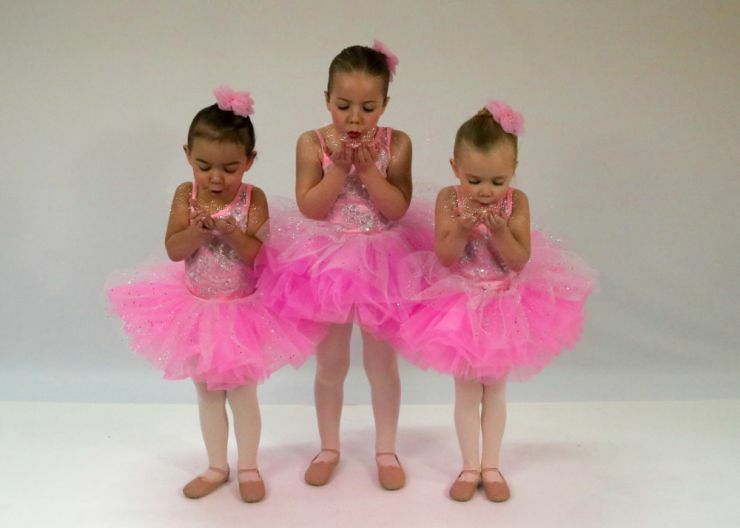 Just look at our schedule and find the class most similar to your dancers’ in age and level; you do not need to call the office to schedule, you may just show up to this class and let the teacher know you are taking a make-up. There will be no deductions or refunds given for missed classes. In the event of inclement weather DDA will cancel classes. Our decision is independent of the schools, due to conditions changing for the better or worse throughout the day. A decision will be made by 3:00 pm of the day in question, you can find this information by checking our website, Facebook, or calling the studio. - Pink leather ballet shoe & Black tap shoes, are required. -Pink leather ballet shoes are required. We recommend split soles. -Shorts and ballet skirts are allowed, students may be asked to remove them by the instructor to assess body lines and proper movement. Lyrical: Lyrical half shoe with toes covered, see front desk for more information. -Be sure to label all personal belongings, DDA is not liable for lost or stolen items. -Only water is permitted inside the studio, and will be sold at the front desk. -Food and drink permitted in the lobby. -Siblings of dancers may not be left unsupervised. -Schedule is subject to change based on enrollment. and may result in students being asked to move to a more suitable class. August 28th: First Day of Classes! Check our Facebook page and website regularly to stay up to date with whats going on at DDA!